UbuntuNet Alliance is pleased to announce the appointment of Professor Stephen Simukanga, as its Chairperson for the next three years effective 20th September 2017. 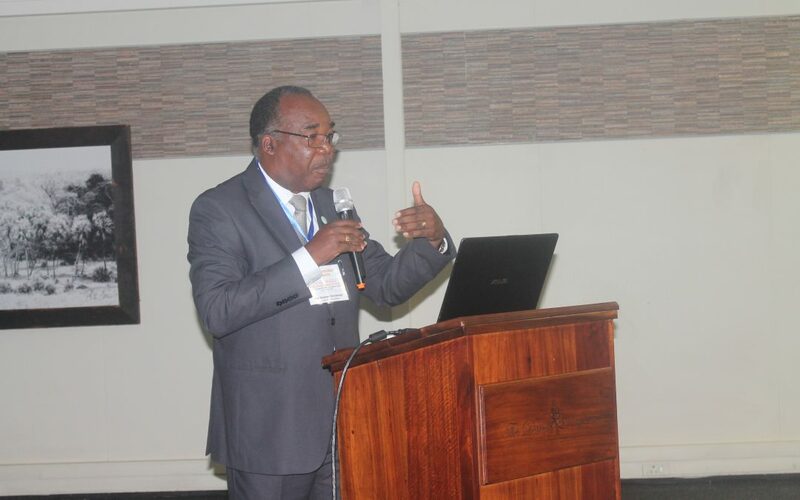 Professor Simukanga is the Director General of the Higher Education Authority of Zambia and former Vice Chancellor of the University of Zambia. Prof Simukanga’s appointment follows a successful completion of a search process conducted by a Search Committee established by the Secretary General of the Association of African Universities (AAU), Prof Etienne Ehile, in accordance with Article 8.1 of the constitution of UbuntuNet Alliance. He succeeds Professor John Ssebuwufu as the Chairperson of the Alliance following the expiry of his three year tenure of tenure of office in October 2016. Professor Simukanga is a United Kingdom Chartered Engineer and a Fellow of the Institute of Materials, Minerals and Mining and the Engineering Institution of Zambia and boasts of 26 years experience in the mining industry and academia. A former member of the Board of Trustees of the Alliance (2013-2015), he has previously served as Vice Chancellor and Professor of Metallurgy at the University of Zambia and has been a visiting Professor at the University of Cape Town for 10 years. He has also served as Chairperson of ZCI Limited. He received a Bachelor’s and Master’s Degree in Metallurgy and Mineral Processing from the University of Zambia in 1982 and 1986 respectively, and a doctorate in Process Metallurgy from the University of Strathcylde in the United Kingdom. Accepting the appointment, Professor Simukanga said he is delighted with his appointment and pledged to use the new position to strengthen UbuntuNet Alliance. “I feel privileged to have the opportunity to be appointed Chairperson of UbuntuNet Alliance. The importance of the Alliance cannot be over-emphasised because the Alliance has made a huge impact in Eastern and Southern Africa, especially in improving connectivity and prices for the research and education communities. As things evolve, the Alliance continues to face the problem of cheaper bandwidth being offered by commercial companies. It’s now a question of how we restructure the Alliance to fit in the new environment. For me it is a challenge coming into the Alliance at this critical moment and I am sure we will find a way of moving the Alliance to new heights,” said Prof. Simukanga. Prof. Simukanga becomes the third Chairperson of the Alliance after Professor Zimani Kadzamira who served as the Alliance first Chairperson from 2007 to 2012 and Professor John Ssebuwufu who served a one three year term from 2013 to 2016.